If you are looking for the highest quality two-way dog door, then there is no better solution than Gun Dog House Door. We are committed to offering the greatest value possible on our dog doors and accessories. Our doggy doors are widely chosen and recommended amongst pet owners due to their features and benefits, which include: Weather proof, Chew proof, Indestructible, Energy efficient, Easy to install, Easy to use, Makes it easy for your dog to enter and leave your home, Large opening to comfortably fit large dogs. Click here for installation directions. The only two-way dog door on the market with "special" heavy-duty spring loaded hinges that provide a positive weather seal! When your dog goes "out" the door, the inner clear plexiglass panel and the outer welded aluminum frame move. When your dog goes in the door, the welded aluminum outer frame stays stationary and only the inner clear plexiglass panel moves. 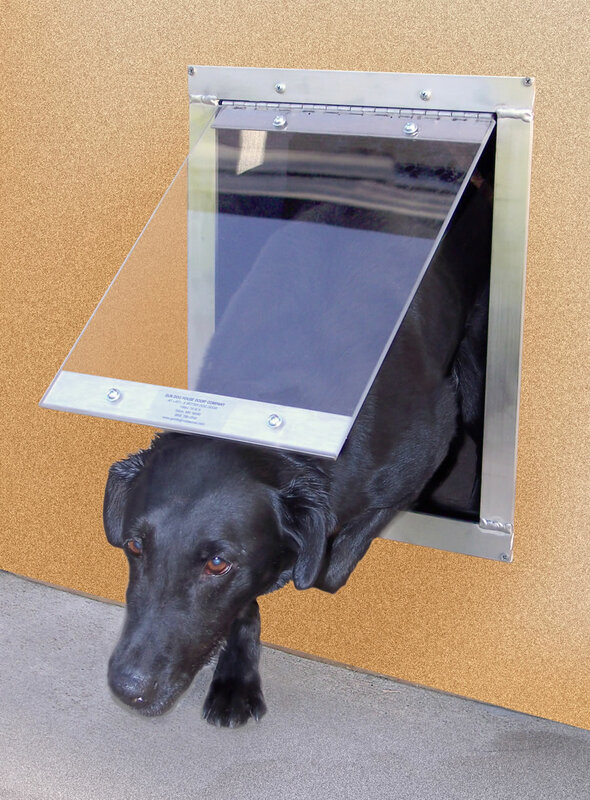 Heavy Duty Dog Door Closing Panel - 14" x 20"
Keeps a pet from entering or leaving. Also, useful for extreme weather situations. Big Dog House Closing Panel - 18" x 28"
As your dog goes in or out through the pet door, the inner white polypropylene panel swings freely on its' hinge to allow easy access. Close tolerances mean less air infiltration than other free-swinging pet doors. The Easy Big Dog Pet Door® is recommended for dogs that are timid, arthritic, or old. Also, if you need a silent operating dog door. Primed wood inserts are designed to cover the raw metal edge on a cut door and to provide a flat surface on a panel style metal door to make mounting your pet door safe and secure. 3. 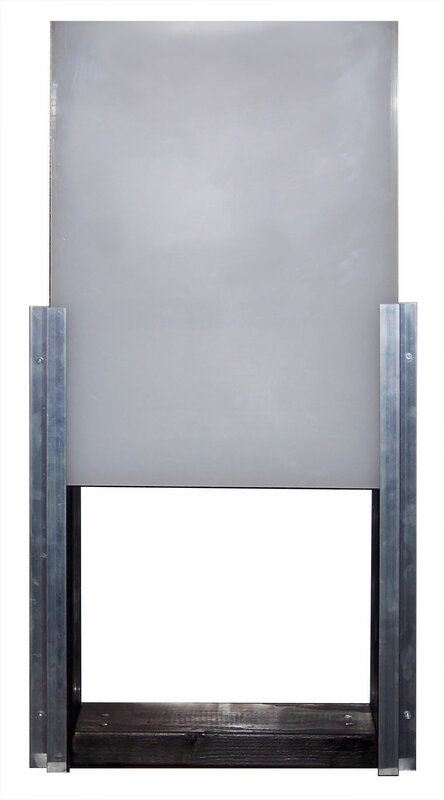 Heavy Duty Dog Door Closing Panel - 14" x 20"